Hikone Castle is one of the castles that I have been meaning to visit for a while now. I heard of it several years ago but it wasn’t until I was researching original castles in Japan that I decided I had to visit this castle someday. I had been researching all of the original castles and I wanted to visit as many of these as possible. I finally had a chance to visit Hikone Castle which is rated in the top 10 of original castles. I had a lot of expectations but I was also being very realistic. I know that castles tend to be very crowded affairs, even on weekdays when most tourists are working, but when you visit a famous castle, you really have no other choice but to brave the crowds. When I visited Hikone, Himeji was still undergoing renovations. 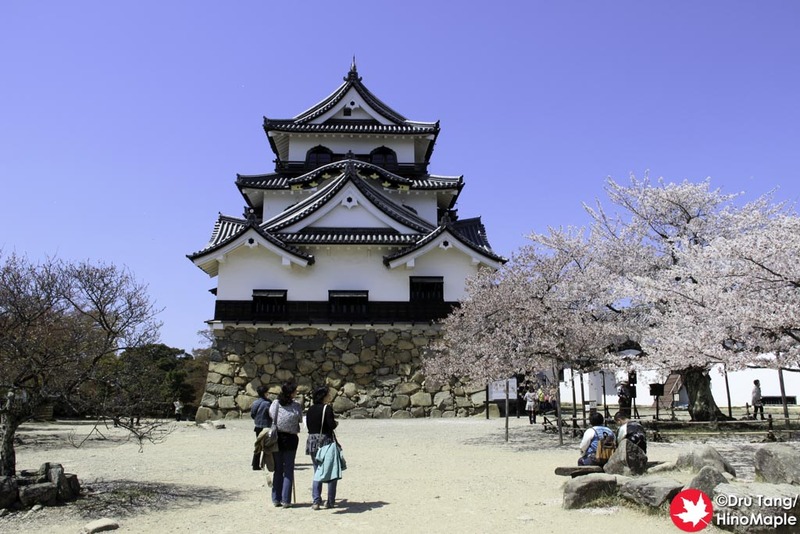 While Himeji was undergoing renovations, I would recommend people to visit Hikone because it was nearly as easy to visit and it was an original castle. I’m relieved that my recommendations were not in vain and I would still recommend Hikone, but I would still recommend Himeji over Hikone. 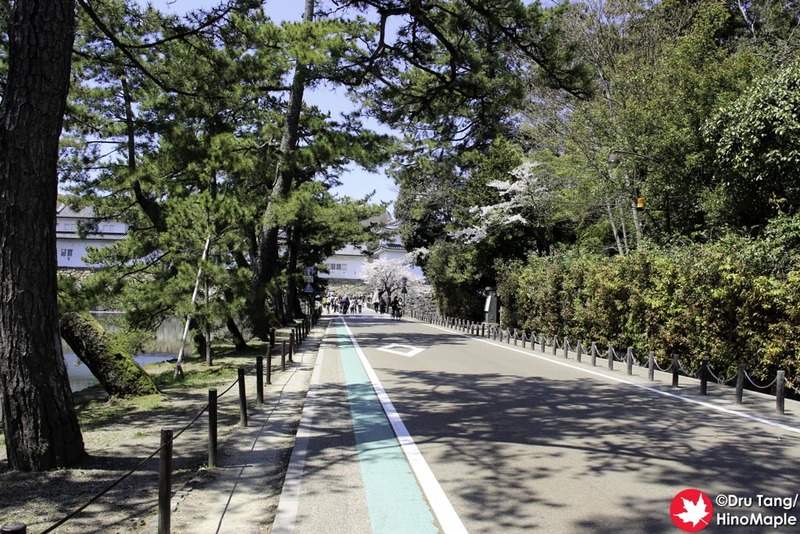 From Hikone Station, it is a short walk to get to Hikone Castle. I got a little lost and headed into Gokoku Shrine by accident. It was a pleasant little surprise as the shrine itself is interesting. I found myself exploring the shrine as it was just past the peak of the cherry blossom season in Hikone. The cherry blossoms were falling off quickly but the trees were all still very pink. 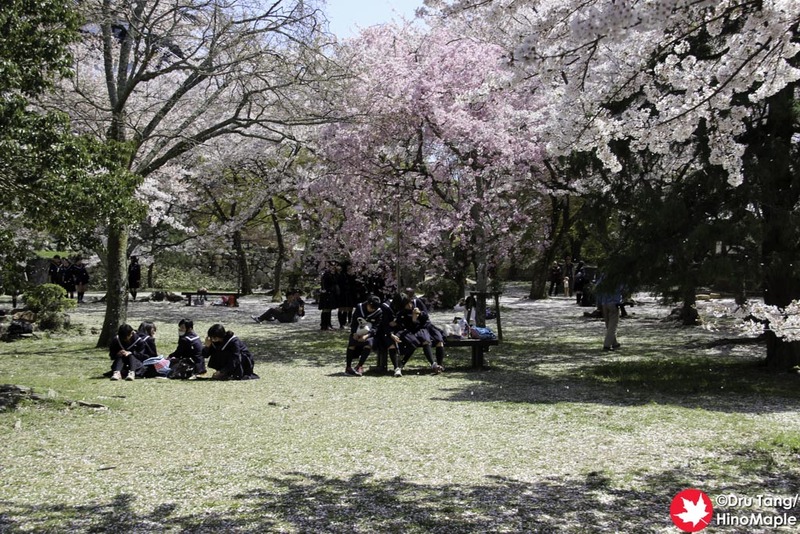 It was a venerable snowfall of cherry blossoms during my visit. The shrine had a few questionable objects related to the war and families but I didn’t spend much time trying to figure out what it was about. I somehow ended up going out the back route rather than the side entrance which was a small adventure in itself. Perhaps I trespassed on private property but I’m not too sure. Gokoku Shrine is a nice quick stop on the way to the castle and if you happen to be visiting Hikone Castle, you might as well stop by Gokoku and enjoy the peace before you hit the chaos. 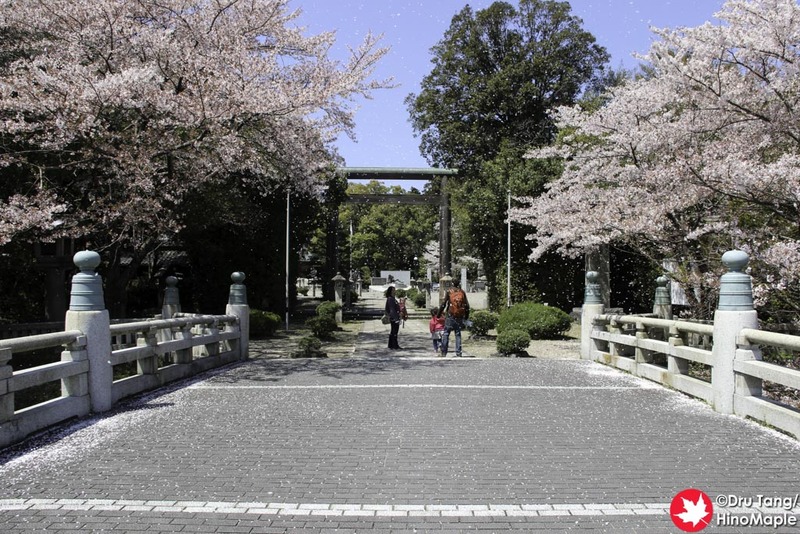 When you exit Gokoku Shrine, you are at the main entrance and moat of the castle. This street is called Iroha Matsu, or the 47 Pines Street. It used to have 47 pine trees but a few of them had to be cut down due to age. It was a little confusing to know what to do at first as the castle is not the easiest place to navigate, but it isn’t hard either. Often you just have to follow all of the people walking towards the entrance and you’ll be fine. The moat area was quite beautiful during the cherry blossom season and a few people were having picnics under the blossoms. 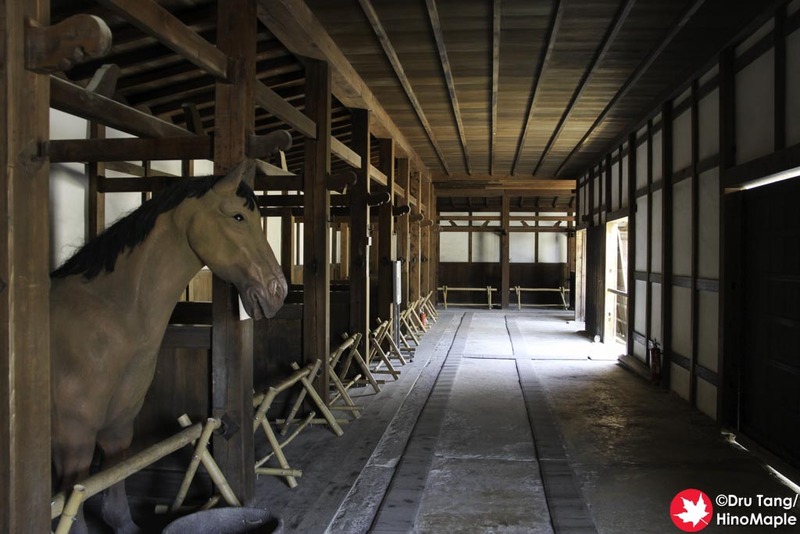 Near the entrance to Hikone Castle, there was a horse stable that was free to enter and a few other buildings but I only had a chance to enter the stable. I do know a certain blogger who has a love affair for all things horses and the stable was pretty interesting. It wasn’t very big and there was only a single life size horse model inside. I’m sure that certain blogger would do everything they could to secretly mount the horse and get a photo. There are 21 stalls in the stable and each stall had a small trap door for all of the garbage. It doesn’t take long to visit the stable so make sure you do a quick look, unless you are one of the dozens of people in a tour group and have no choice but to head straight for the castle. There are two types of tickets you can purchase to visit the castle. There is the standard castle entry fee along with the Genkyuen Gardens for 600 yen, or you can add another 400 yen to also visit the museum. The museum is adjacent to the front entrance and I decided to skip the museum because I wasn’t interested in the exhibit at the time. 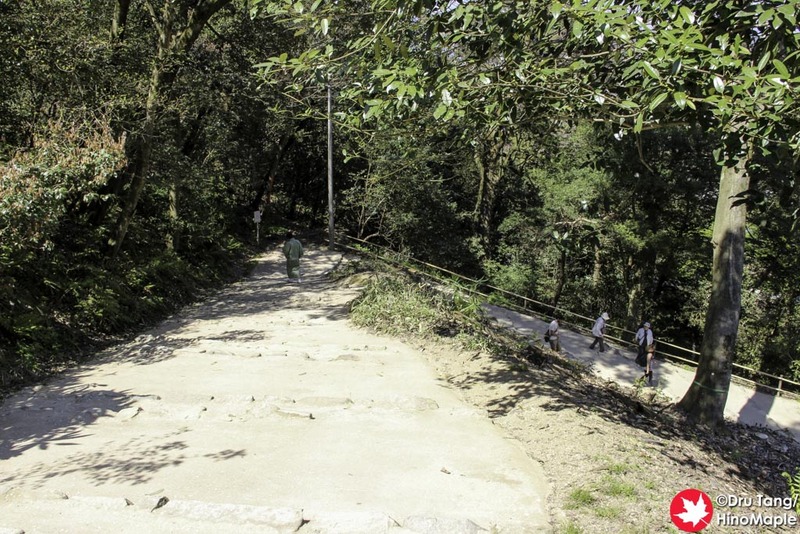 Once you pass the main gate you are faced with a long climb. It is straight up to the main castle plateau, and this is what makes Hikone Castle a little unique and special at the same time. While many castles are hilltop castles, I found Hikone’s main entrance to be one of the quickest approaches. Matsuyama has a long path to get to the top of the hill and most of the other castles I have visited had various defences built into the hillside. Most other hilltop castles snake their way in a circular motion to get to the peak but Hikone’s castle entrance heads straight up on a lone staircase from the main gate. 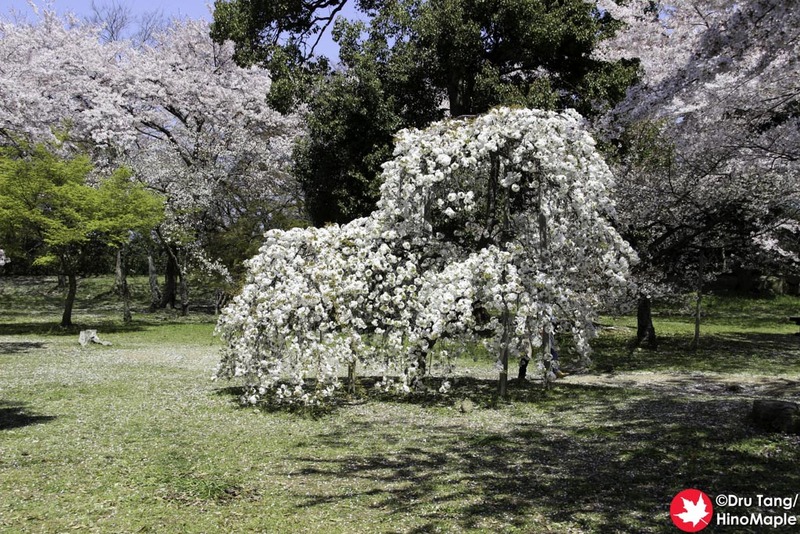 Once you get to the top of the stairs, you are at a nice park area called Kanenomaru that has dozens of cherry trees. This park area has the best views towards the station but not the best views from the hilltop. The best views are on the other side where you can enjoy views of Lake Biwa. During the cherry blossom season, the entire top of the hill is laced with cherry trees making it a popular place in that season. I really enjoyed taking my time to enjoy the atmosphere. Once you finish with Kanenomaru, you have to cross a wooden bridge. 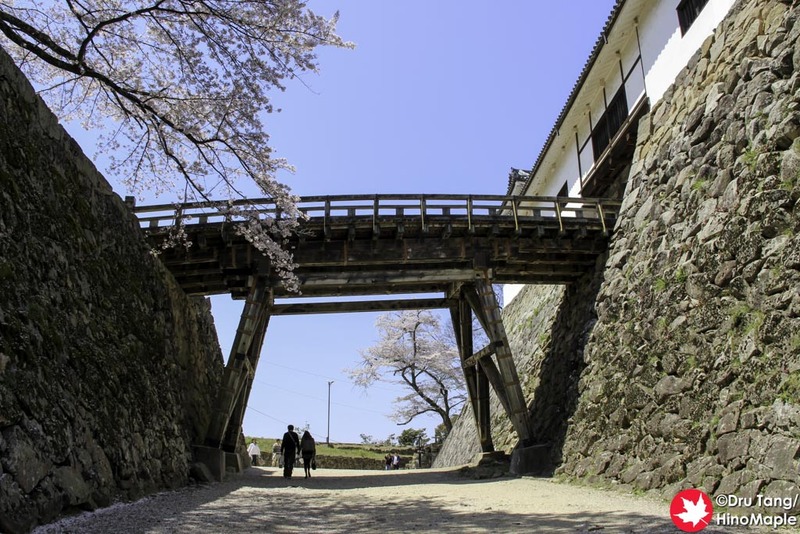 The wooden bridge was designed to be destroyed easily to protect the central castle. Once you pass the wooden bridge you head up a connecting passage which helped add to the defenses before you are into the main castle area. The trip to the main castle area is pretty short compared to many of the other castles I have visited. Hikone Castle was by far the easiest castle to reach, for its size and fairly direct. Behind the castle, in the Nishinomaru, there is a fairly large park. I saw a lot of school kids just running around and enjoying themselves. 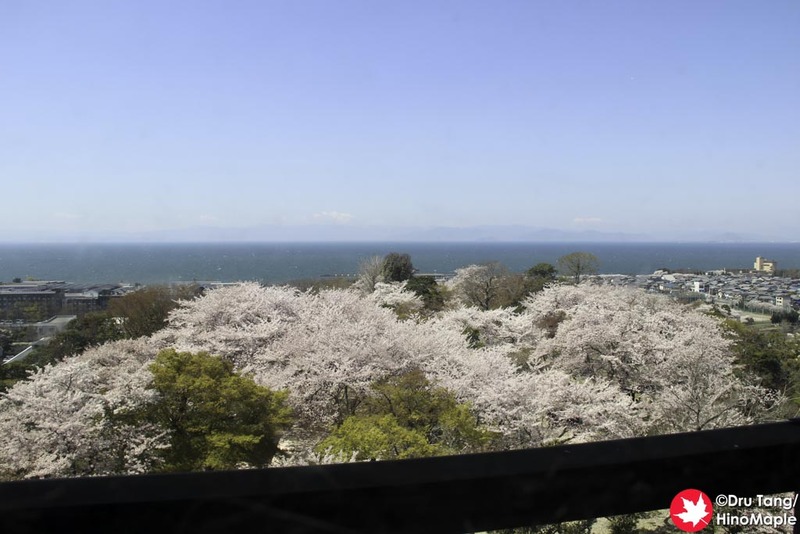 Like the Kanenomaru, the Nishinomaru was full of cherry trees and a lot of people were just enjoying the beautiful view of the cherry blossoms and enjoying lunch. I was happy that most of the people weren’t actually trying to go up into the castle keep itself as that would have been chaos. Imagine all of the old people and young people just trying to coexist. I’m sure they can but I feel it would be similar to a southern barbarian trying to survive on a morning rush hour train every day. The main castle itself is pretty small. It can be a small challenge to get through things as you have to carry your shoes around with you everywhere. It also isn’t too interesting as there isn’t a lot of information inside the castle. Going on a weekday meant that a lot of old people were visiting and it meant that there were lines to get to different areas of the castle. There are 3 levels to the castle and the staircases to go up and down were more alike ladders. It was not easy at all to go up and down and a little painful as they have raised runners to prevent you from slipping down the steps. They are raised a little too high and hurt every time I went down the steps. As they say, “safety first”, even at the expense of my feet. This castle requires you to go all the way to the top of the keep first before you make your way down. This is probably because it is easier to go up than down. The keep itself is nice and small but a bit busy. There are lines to go up and down as the older people have trouble going quickly. This is quite understandable. The second floor is also a bit boring as there isn’t a lot of information inside. You can enjoy the view and that’s pretty much it. I wasn’t very impressed by the interior and soon I was outside. I don’t think I can really recommend the interior for this castle. I still found Himeji to be a better castle in this respect. After I finished with the castle grounds, I headed out the back way to the Kuromon exit. It was a steep walk down even more steps before I was in front of the gardens. The back exit is not as interesting as the front one but the views are a bit better. I found the entire experience a bit typical but also unique. Like a lot of things in Japan, you really have to look at the little details to really appreciate things. In Japan, the little details are what really set their craftwork apart from others. Everything has a place and everything has a reason. It is always fun to see what little things set Hikone Castle apart from the other castles in Japan. I will have to say that the geography of the location and the garden/park area is what really shines for Hikone. It is a great place to relax, especially when the weather is great, and you don’t feel rushed. While I probably won’t return to Hikone or Hikone Castle, if I did, the castle grounds are one place I do want to revisit and just relax. Note: If you want more information, there is a great video that acts as a virtual tour of Hikone Castle. Just follow the last link in the information below. This entry was posted in Kansai and tagged castle, Genkyuen, Gokoku, Gokoku Shrine, Hikone, Hikone Castle, Horse, Iroha, japan, Japanese Castle, Kane No Maru, Kanenomaru, kansai, Kuromon, Nishi No Maru, Nishinomaru, Pine Tree, Shiga, shrine, Stable by Dru. Bookmark the permalink. I saw the horse and almost freaked out, but then realized … drat, it’s a statue. Hehe. I new you’d go crazy for the horse. Maybe not to the point of actually freaking out but it is pretty life like when you just photograph it right. I know you go quickly, but who said you are in the category of “older people” that I was talking about. I was thinking of the people in their 70s or older. The ones who are retired.